Port of Detroit – Detroit, Michigan | World Shipping, Inc. The Port of Detroit is located along the west side of the Detroit River, and is the largest seaport in the state of Michigan. The port is overseen by the Detroit/Wayne County Port Authority, a five-member board of directors appointed by the State of Michigan, Wayne County, and the City of Detroit. The authority coordinates river commerce on the waters and shoreline of Wayne County. The port consists of multiple marine terminals handling general, liquid, and bulk cargo as well as passengers. 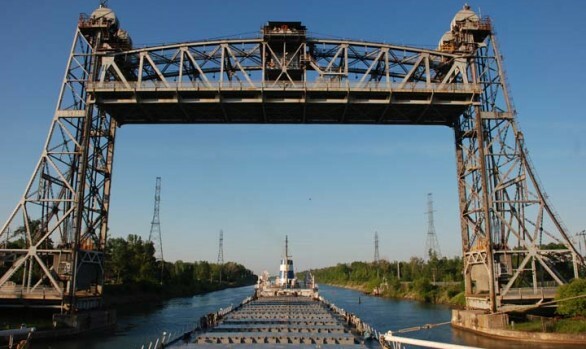 The Port of Detroit’s single most valuable commodity is steel, and the largest commodity handled by tonnage is ore. Other important commodities handled at the port include stone, coal and cement. The Port Authority is governed by a board composed of five members. Two members are appointed by the government of the city of Detroit, two members are appointed by the government of Wayne County, and one member is appointed by the Governor of Michigan. These parties also provide the operational funding for the authority. Day-to-day operations are overseen by a hired executive director. The authority is charged with the assisting in the application doling out of state and federal grants, as well as facilitating capital improvements of the port. The authority is also involved in environmental programs, such as removing abandoned vessels from local waterways, and is permitted to finance bonds for port terminals or other development along the riverfront. Detroit and Southeast Michigan enjoy a rich maritime history. In order to further that tradition and grow the maritime industry, the State of Michigan adopted the Port Authority Act in 1978. The City of Detroit and Wayne County followed suit by adopting a joint resolution creating the Detroit/Wayne County Port Authority (DWCPA) in 1980. Since that time, it has been the mission of the Port Authority to foster the marine industry through governmental advocacy, commercial marketing and public finance. While the primary focus has been on the 15 to 20 million tons of commercial cargo and over 16,000 jobs related to the 22 private terminals located in Detroit and Wayne County, more recently, the Port Authority has expanded its efforts to include marine passenger operations and other efforts to assist the community in taking full advantage of the incredible resource that is the Detroit River and the Great Lakes. The DWCPA exists to serve the maritime industry and those industries served by the maritime industry. In that capacity, we assist industrial development through the financing of new projects through ourselves or through collaboration with other economic development agencies. Additionally, the Port Authority is committed to ensuring the optimal use of Detroit and Wayne County’s waterfront for the needs of both industry and residents. The Port Authority is eager to serve the community and looks forward to hearing from you regarding any projects with which we may be able to assist.